THIS IS HOW THE SOUTH AFRICAN ANC REGIME ROBS THE TAXPAYER BLIND THROUGH TENDER THEFT AND INCOMPETENCE. THE illegal ANC hoodlums simply cannot function without their usual quota of corruption , scandals , incompetence and maladministration woes following them whatever that greedy claws touch. Now a draft Treasury report on its ongoing investigation into state capture reveals the extent to which the Gupta family’s lieutenants bent over backwards to help them loot Transnet and Eskom. The report, the second of its kind during the investigation and dated July 2018, contains new information about alleged dodgy dealings by former Eskom and Transnet chief executive officer (CEO) Brian Molefe, his chief financial officer (CFO) at both companies, Anoj Singh, former Eskom chairperson Ben Ngubane and their officials. It also reveals that multinational advisory firm McKinsey paid for Singh to go on lavish international trips to Dubai, Russia, Germany and the UK, after which their contract with Transnet was massively extended. The report also states that investigators from the Fundudzi Forensic Services company “imaged computers and Apple devices” belonging to Molefe, Singh and former acting Eskom CEO Matshela Koko. They also examined the network folders of department of public enterprises officials, including those of former minister Lynne Brown’s personal assistant, Kim Davids, director-general and former Transnet board member Richard Seleke, chief of staff Muhammad Khalid Sayed and spokesperson Colin Cruywagen. They were also given remote access to emails of Molefe, Singh and current Transnet chief executive Siyabonga Gama. The report sheds further light on alleged wrongdoing regarding Transnet’s 1 064 locomotives tender, which ballooned from R38.6 billion to R54 billion and which saw the Guptas and their lieutenants score more than R5 billion in kickbacks. It also provides a painstaking account of the 10-year, multibillion-rand coal supply contract irregularly handed to Tegeta Exploration and Resources, in which former president Jacob Zuma’s son, Duduzane, had a significant stake. Investigators sent questions to Molefe, Singh, former Eskom chair Ngubane and Koko, as well as to McKinsey, but “we had not received the majority of the responses”. The draft report found that Singh received six suspicious deposits totalling R16 million into his bank account in a single month: July 2016, when he was Eskom CFO. Among the payments was one of R9 million and another of R5 million – both described as telephone banking transfers. “It is not clear how Singh accumulated [a] balance of R19 million that was in his account. It is also not clear why he transferred R16 million on July 14 2016 into two other accounts,” the report states. “The amounts in Singh’s accounts will form part of the information we will hand over to the head of the Directorate for Priority Crime Investigation [DPCI] for further investigations. The DPCI will have to investigate whether some of these amounts may have been paid [to attorneys] for services rendered or procurement of valuable assets. They will need to further investigate what are the sources of money that accumulated to a bank balance of R19 million.” The DPCI is the formal name for the Hawks. The report also found that in 2012 and 2013, while he was CFO of Transnet, Singh went on two overseas trips at McKinsey’s expense. The report states that a day after the recommendation to increase McKinsey’s fee for its advisory services on the 1 064 locomotives tender from R25 million to R49 million in February 2012, “an email, titled 2012 CFO Forum–Invitation”, was sent to Singh, inviting him to London for a conference of CFOs in June. McKinsey, the report found, facilitated Singh’s eight-day trip, including securing him a visa for Dubai and accommodation at London’s five-star hotel, The Langham, as well as at the Sheraton Frankfurt Airport Hotel. A month after Singh returned from the McKinsey-sponsored London trip, “there was a further procurement process to appoint McKinsey to provide advisory services to Transnet for the procurement of the 1 064 locomotives”. “We determined that a Transnet Acquisition Council meeting was held on July 18 2012 [barely a month after Singh came back from the London CFOs’ conference trip on June 16] and that it recommended that consideration be given to the business being awarded to the overall highest-ranking bidder i.e. McKinsey & Company… [and] that approval be obtained from the group chief executive [Molefe],” the report states. Singh, the Treasury report found, did not only allegedly help McKinsey; he also allegedly assisted Regiments Capital – of which controversial Eric Wood was a founder – to become McKinsey’s South African partner for the tender by recommending that Nedbank Capital be axed over a conflict of interest. The report further states that Regiments was appointed after Nedbank Capital was removed, and McKinsey’s contract value increased “from R35.2 million to R267 million”. “Various addendums were concluded between Transnet, McKinsey and Regiments which resulted in the contract fee increase from R35.2 million to R267 million,” the report states. “The increase … was due to scope extensions over a period of 12 months. There is no evidence of proposals submitted to justify the various scope extensions.” Wood’s new company, Trillian, thereafter assumed the contract after he parted ways with Regiments. “We determined that Transnet paid a total of approximately R3.1 billion to McKinsey, Trillian and Regiments. The said payments were made from the time McKinsey was appointed at Transnet in 2005 to 2017,” the report states. The report also found that China South Rail (CSR), the company which reportedly paid more than R5 billion in kickbacks to Gupta-linked companies, received astonishing preferential treatment by Transnet employees to the disadvantage of other bidders. Lindiwe Mdletshe, Transnet’s executive manager for sourcing, even emailed the company the bidding documents before it had paid for them, in violation of Transnet’s rules. CSR should also have been disqualified after the first round of bidding, for scoring a broad-based black economic empowerment score of 0, for having no local partner. The report states that Gama, then the CEO of Transnet Freight Rail, and his procurement head, Thamsanqa Jiyane, motivated to keep CSR in the race despite their abysmal score. The report found that “Transnet should have disqualified CSR for what is clearly an attempt to influence and sway the adjudication in their favour. It is not clear how CSR would want to ‘discuss cooperation’ with Transnet before the tender is even awarded, unless there was something they knew at that stage of the tender process. “Molefe, Gama and Jiyane’s actions exposed Transnet to potential litigation and reputational risk, should other tenderers become aware of this irregular changing of the evaluation criteria,” the report states. The report details how Koko allegedly tried to ensure that the Guptas’ Tegeta retained its coal supply contract, despite supplying inferior quality coal at inflated prices, and delivering much less coal than the contract stipulated. Koko, the report found, allegedly demanded a private meeting with an official responsible for testing the Guptas’ inferior coal. The report said the official told investigators “that Koko started the meeting by introducing himself as Eskom’s group executive and asked [him] why he is fighting with the Gupta family, to which [he] responded by stating that he does not understand Koko’s question, and further, that he does not know who the Gupta family is”. “Koko informed him that Brakfontein [coal mine] is owned by the Gupta family and that [he] is fighting with them by providing unfavourable coal analysis results performed on Brakfontein’s coal.” Responding to investigators, Koko denied making any threats to the official. And on the end of the day the already financially impaled consumer have to pay more and more for state-monopolized services that are forced down their throats which continuously are linked with threats of “black-outs” and humongous increases in transport fees. Meanwhile psychopaths in “higher places” who are deliberately draining the economy through blatant thievery for their own selfish greed will never see the inside of a courtroom. The Judicial Commission of Inquiry into State Capture confirmed it will probe allegations that a R10m security deal was irregularly awarded to a subsidiary of the corrupt Bosasa group. In a statement issued on Monday in response to News24’s revelation of details of the deal on Sunday, the commission vowed to inform the public of the outcome of its own probe “after the chairperson has been furnished with all relevant information”. Deputy Chief Justice Raymond Zondo was appointed to head the commission, which is looking into corruption at all levels of government, particularly termed state capture. News24 revealed over the weekend that Global Technology Systems (GTS), formerly known as Sondolo IT, had been handed a security contract worth R10m without following a tender process. The commission has described the publication of the article without it having completed its own inquiry into the matter first as “regrettable”. The deal is for the installation of security measures, including an X-ray bag scanner, CCTV and access control measures, at the Zondo Commission’s premises – Hillside House in Parktown, Johannesburg. GTS is a subsidiary of African Global Operations, formerly known as Bosasa. Minutes of a meeting between various suppliers to the commission, dated July 5, 2018, revealed that GTS was seemingly “nominated” for the job. Neither GTS nor the commission responded to queries about how it landed the deal, News24 reported. A Special Investigating Unit (SIU) report, which was handed over to the National Prosecuting Authority (NPA) in 2009, found that Bosasa officials had paid bribes to former prisons boss Linda Mti and Department of Correctional Services chief financial officer Patrick Gillingham to secure multimillion-rand tenders from the department. Sondolo IT (now Global Technology Systems), Bosasa Operations and Phezulu Fencing (another Bosasa subsidiary) were awarded tenders of more than R2bn to operate kitchens, install access control systems and fences at prisons around the country. These deals formed part of the SIU investigation. In November last year, NPA spokesperson Luvuyo Mfaku confirmed that a team of prosecutors were still working on the matter and had yet to make a decision on whether or not to charge the Bosasa officials. One of the directors of GTS is politically-connected Bosasa CEO Gavin Watson. When News24 journalists sent questions regarding the deal to the commission on Thursday, a request was made by commission secretary Dr Khotso de Wee for more evidence to be made available at Zondo’s request. News24 editor Adriaan Basson said he would co-operate with the commission’s request to provide Judge Zondo with the necessary background information of Bosasa’s chequered past.“Although we find it surprising that the commission claims not to have been aware of the serious allegations of corruption levelled against Bosasa and its affiliate companies, we will assist Judge Zondo in getting to the bottom of this matter,” Basson said. “It is outrageous that a commission into state capture would appoint a company accused of grand state corruption to guard its safety and secrets. There was an overwhelming public interest to get this story out,” he added. Jacob Zuma’s birthday parties in 2015 and 2016 were sponsored by controversial facilities management group Bosasa. News24 revealed that Bosasa paid about R3.5m for the parties through Zuma’s foundation, led by former SAA chair Dudu Myeni. The revelations come hot on the heels of investigative journalist Jacques Pauw’s latest book, The President’s Keepers, that exposed Zuma receiving R1m a month, for at least four months after becoming President in 2009, from tender tycoon Roy Moodley. AND they still are plundering the tax money at SARS…. A former South African Revenue Service (SARS) employee was sentenced to five years’ imprisonment after being found guilty of 159 counts of fraud by the Cape Town Regional Court. In a statement, the National Prosecuting Authority (NPA) said Nosicela Precious Tapa Ntozini was also sentenced to 18 months’ imprisonment on Friday for one count of failing to register as a tax practitioner. NPA spokesperson Eric Ntabazalila said that Ntozini was employed at SARS as a call center agent. There she completed income tax returns on behalf of 38 taxpayers and claimed fraudulent refunds. “She used relevant codes in claiming medical expenses and deductions in respect of retirement annuity funds contributions, which were never incurred by the taxpayers,” said Ntabazalila. “She, in this way manipulated the SARS system in order to generate the fraudulent refunds, which were paid directly to the 38 taxpayers.” According to the NPA, the taxpayers then paid Ntozini a percentage of the refunds they received. The payments to her were paid via the money market system. Advocate Thozama Plaatjie-Mbodlana, who prosecuted the case, says SARS paid out a total of R399 134.39 to the 38 taxpayers. Ntozini received R109 660.00 as her benefit. The offences were committed over a period of two years and six months. “[The] accused was the employee of SARS and in a position of trust. She used her knowledge to manipulate the system and to claim fraudulent refunds for 38 taxpayers whom were mostly family members. She enriched herself with the fiscus money.” Advocate Plaatjie-Mbodlana said the official’s actions were motivated by greed. Ntozini is also the primary care giver of her three minor children and indicated that she has no family to look after the children, the NPA said. “The State requested the social worker to look for safety parents for the children. Her children will be in the care of trained safety parents while she is serving her sentence,” said Ntabazalila. The NPA said Ntozini’s sentence would send a strong message to other parents that even if they are a primary care giver, a term of imprisonment can be imposed as long as the State convinces the court that the children will not be left destitute. In a blitz to clean up fraud and corruption at Ekurhuleni licensing departments, four more officials were arrested in Germiston on Friday, bringing the arrest tally to 13 in the last two weeks. Road Traffic Management Corporation (RMTC) announced on Friday that the four Ekurhuleni Metro officials, including a supervisor, were arrested at the Germiston licensing station in Wadeville. On Thursday, five officials were arrested at the Alberton and Bedfordview licensing offices, while four others were arrested at the Benoni licensing department last week. All the arrested officials allegedly colluded with motorists to clear outstanding vehicle licence fees and penalties, which had cost municipalities, provincial transport authorities and the RTMC about R80m annually, RTMC spokesperson Simon Zwane said. This was done by registering vehicles in the names of deceased people or unsuspecting individuals, before re-registering the same vehicles in the names of the original owners. The arrests form part of investigations by a multi-disciplinary task team comprised of RMTC, the Ekurhuleni Metro Police Department’s Compliance and Monitoring Unit, the South African Police’s Gauteng Special Project Unit and Gauteng Traffic Police Compliance Unit. And in yet another scandal sixteen suspects – including driving licence examiners and learner licence applicants – appeared in the Durban Specialised Commercial Crimes Court in connection with fraud and corruption allegations, the Road Traffic Management Corporation (RTMC) said on Wednesday. They were arrested at the Howick driving licence testing center, in the KwaZulu-Natal midlands in March this year, during a major crackdown on corruption related to the fraudulent issuing of driving licences, RTMC spokesperson Simon Zwane said. The crackdown had been conducted by the RTMC’s national anti-corruption unit and the Directorate for Priority Crime Investigation (The Hawks). “The arrests followed a long investigation in which officials from the Howick driver learner testing centre were observed engaging in unethical and corrupt conduct,” Zwane said in a statement. Talk about incompetence and maladministration– Thousands of so-called “disadvantaged” (mainly black) students could be left stranded and clueless about next year’s funding, after Minister of Higher Education and Training Naledi Pandor asked the National Student Financial Aid Scheme (Nsfas) to halt its funding plans for the 2019 academic year. On Wednesday, August 1, Nsfas was meant to open applications for the 2019 academic year, but Pandor has instructed staff at the funding organisation not to open the application process until it gets its house in order. The National Education, Health and Allied Workers’ Union (Nehawu) has also entered the fray, calling for a motion of no confidence in the chief executive officer (CEO), Steven Zwane, and chairperson Sizwe Nxasana. Some of the accusations leveled against Zwane, who has been at the helm for less than a year, include allegedly making irregular appointments of managers, who were his subordinates from his previous employment at Absa. 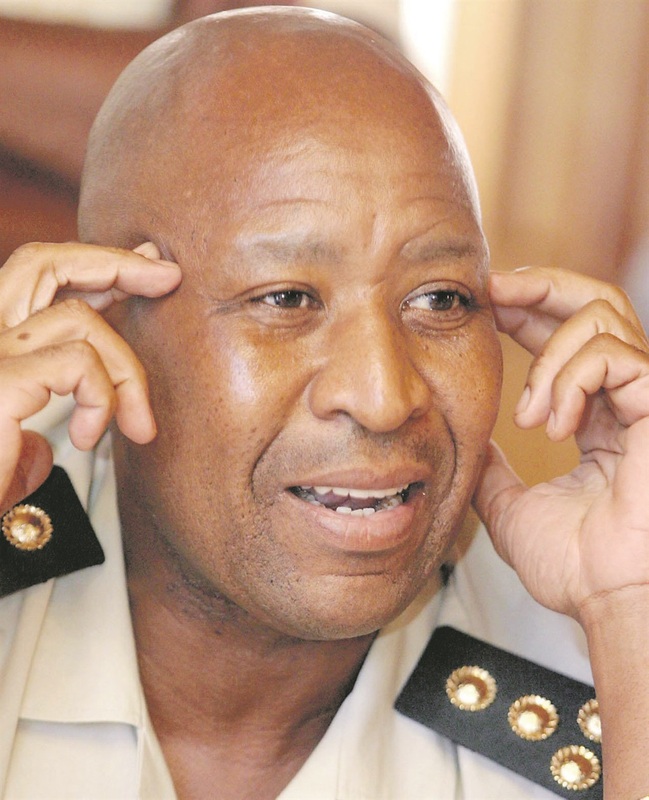 It has also been alleged that a tender was given to his former Absa boss to consult for Nsfas payments to students, and that Standard Bank and the scandal-ridden VBS Mutual Bank were awarded a Nsfas tender roll. Nsfas gets close to R30 billion of the R89 billion budget received by the department of higher education and training. Its financial reports for the 2016/17 academic year reflect that 255 557 students were assisted at 50 Technical and Vocational Education and Training (TVET) colleges, while 225 950 students were helped at 26 public universities. In April, News24 reported that the minister had ordered Nsfas to get its house in order. Apparently, this has not happened, if this month’s letter from the minister to the board is anything to go by. 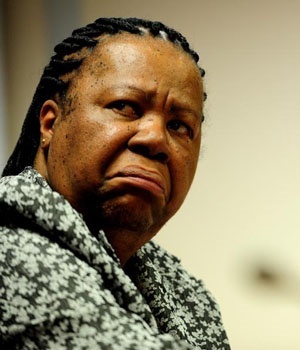 In the letter, Pandor described reports she received from Nsfas as “confusing and sometimes inaccurate”. The minister also indicated that she was “concerned about the reliability of the confirmed registration numbers”, and highlighted her concern with the slow generation of financial aid and the ongoing problems with disbursement of payments to sBux and non-sBux institutions. • Such funds are disbursed to students without further delay, subject to control measures to ensure that the correct students are paid. Nsfas spokesperson Kagisho Mamabolo confirmed that all appointments made by Zwane were “in accordance with the organisation’s rules and strategy, aimed at building the much-needed capacity and capability to deliver on the new mandate”. “Normal recruitment and selection processes were used to source candidates for the position. We received applications from several applicants and are happy with the outcome of those processes,” said Mamabolo. Lunga Ngqengelele, spokesperson for the department of higher education and training, confirmed that Pandor had received the letter from the union. However, he added: “The minister does not discuss her correspondences with anyone other than people she is dealing with” – referring to the letter to the Nsfas board. ” City Press has reliably learnt that the board had called a special meeting to discuss the contents in both Pandor and Nehawu’s letters which demanded the removal of the chairperson and the CEO. In the rule of the ANC communists there is no sharing of power, no rule of law, no accountability,- only abuse, corruption, subjugation and indignation. Money and corruption are ruining the land, crooked politicians betray the working man, pocketing the profits and treating us like sheep, and we’re tired of hearing promises that we know they’ll never keep. The African National Congress is a cancer: a cancer that eats away at a citizen’s faith in democracy, diminishes the instinct for innovation and creativity; already-tight national budgets, crowding out important national investments. It wastes the talent of entire generations. It scares away investments and jobs. When you don’t take a stand against this ANC corruption- then you tacitly support it. Where do the evils like this ANC corruption arise from? It comes from the never-ending greed. Communism has never come to power in a country that was not disrupted by war or corruption, or both. The fight for corruption-free ethical society will have to be fought against this greed and replace it with another government that has the knowledge, competence and insight to rule South Africa. There is no compromise when it comes to the current state of corruption devouring South Africa. You have to fight it from ground level by ousting the whole ANC communist regime in the next election and replace it with a political diverse party that is representative of all the ethnic groups. This ANC regime is so out of control. It is so bloated and infested with fraud , deceit and corruption – and the abuse of power. The SA government’s corruption is worse than prostitution. The latter might endanger the morals of an individual, the former invariably endangers the morals of the entire country. By entrusting sole power of governance in one single party’s hands is not very wise- it always turns out into an oligarchy and dictatorship like South Africa experience today. Every single one in a position of ANC power is either corrupt or assumed to be corrupt, and the assumption of corruption is as bad as the reality of it. Besides being a prime cause of poor economic growth, the poor ANC governance breeds corruption, which cripples investment, wastes resources, and diminishes confidence.This is the strange thing about South Africa – for all its corruption and crime, it seems to offer a stimulating sense that “anything is possible. ” Corruption is Africa’s greatest problem. Not poverty. Not lack of riches. Not racism. Unfortunately, corruption is so widespread in the ANC government agencies and public enterprises. Our political system promotes nepotism and wasting money. This has undermined our legal system and confidence in the functioning of the state. One of the consequences is that the majority citizens don’t pay their taxes. The communists have seized upon the government by bribery and corruption. They have made speculation and public robbery a science. They have loaded the nation, the state, the county, and the city with debt. Corruption is just another form of tyranny. Whoever looks at South Africa will see: the ship is powered by stupidity, corruption, government driven racism- or prejudice. Dictators cause the world’s worst problems: all the collapsed states, and all the devastated economies. All the vapid cases of corruption, grand theft, and naked plunder of the treasury are caused by dictators, leaving in their wake trails of wanton destruction, horrendous carnage and human debris. Corruption is when a politician uses public funds to deliver pistachio ice cream to his home and transfer garden furniture to his Caesarea villa, – then requesting that the expenses be covered for the water in his pool and fights to get a private jet. That is about the current state of affairs in South Africa. South Africa is upside down and backwards; high taxes and low performance. Until someone is prepared to lay out the systemic problem, we will simply go through cycles of finding corruption in the South African government, finding a scapegoat, eliminating the scapegoat, and relaxing until we find the next scandal. The South African government was at one time before 1994 an international model. Now, – through the hands of political criminals such as Zuma, Maduna, et al unfortunately, it’s an international disgrace. No science is immune to the infection of politics and the corruption of power. But then again- the root cause of South Africa’s multiple problems does not lie within the corruption and maladministration of it’s incompetent gold digging politicians, the “rich whites”, Apartheid – or the Guptas – it lays with the racist-indoctrinated populace that votes these skulduggery kleptomaniacs back into power every 5 years. BUT through all this schemes, the tender frauds, millions of rands that just simply “disappear, “ exuberant life-styles, money laundering, corruption in the state organs , theft of millions of rands and God knows what else scandals we see on a daily basis -the ANC regime sees to it that there always is a shortfall of literally BILLIONS every year to make ends meet in the budget. They are robbing the working populace blind! On the end of the day when they again are in deep financial trouble- as always they go for another loan…and another…and another. To back these loans they simply add more taxes – and then some more. When will this African kleptomaniacy ever stop? South Africa now rates as one of the highest taxed countries in the world on the same level as Sweden. The only difference is in Sweden you get 100% government assistance free of all government services- whereas in South Africa you get taxed into oblivion and get sweet blue f*ck-all bar lip service and empty promises in return- except if you are one of the “chosen ones.” South Africa became a very sick country indeed- positively diagnosed with a terminal cancerous ANC tumor which is systematically busy destroying and shutting down the country’s vital organisational functions. Soon South Africa will sink into a financial coma from which it never will regain economic stability again. It is time for a regime change- and fast. The current one long ago has overstayed it’s illegal welcome.